Today’s world, glorifying God or Man? Among the heroes of the American Revolution, which we celebrate on this fourth of July, was a Lutheran pastor, Peter Muhlenberg. An article in The Federalist tells his story. And there was more to his career than his famous disvesting in the pulpit. 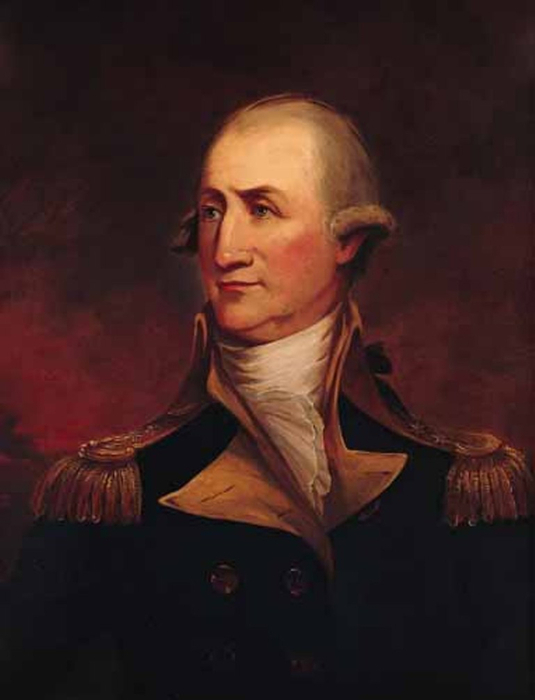 He became George Washington’s aide, was a military hero, and after independence became a statesman in the new republic. Read about him, and then I have some questions. In January 1776, a small church in rural Virginia burst at the seams with parishioners eagerly awaiting the arrival of their pastor. Members of the congregation, who had even spilled out into the cemetery, were alive with excitement. Over the last few months, with tensions between the colonies and England ever increasing, the members of the Lutheran church had heard from their pastor that a revolution was imminent. He told them the time to take up arms in defense of their nation was now. This particular Sunday was to be the pastor’s last sermon, and the large gathering represented far more citizens than those who inhabited the small town of Woodstock where the church stood. Rev. 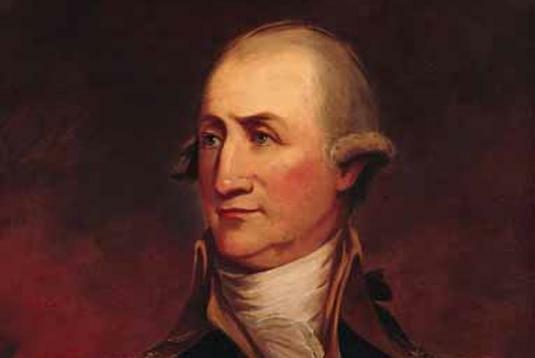 Peter Muhlenberg entered the church dressed in his robe, with a sense of purpose that appeared to make him stand taller than usual. He ascended to the pulpit and delivered his sermon, acutely aware of the importance of what he would say. So what are we Lutherans to make of Rev. Muhlenberg? Was he violating the Two Kingdoms in preaching the American revolution from the pulpit? Was he violating his vocation as a pastor, or just moving to a new calling as a soldier? At any rate, does he not deserve our nation’s honor, along with Washington, Jefferson, Patrick Henry, and the others who brought our nation into being? There was a whole family of Muhlenbergs who were important in the early days of American Lutheranism. The key figure is Henry Melchoir Muhlenberg, known as “the father of American Lutheranism,” who was Peter’s father. Can anyone tell us more about the Muhlenbergs and their legacy in both the church and the state? This entry was posted in authenticity, Lutheran Christianity, Uncategorized and tagged American Revolution, Lutheran church, Lutheran Clergy, Lutheran History, Peter Muhlenberg on July 6, 2018 by Pastor Jim Driskell, Lutheran Church. 20 because[a] they formerly did not obey, when God’s patience waited in the days of Noah, while the ark was being prepared, in which a few, that is, eight persons, were brought safely through water. Make this statement on line; “Baptism saves you”, the response will be immediate, “no it doesn’t”. The respondent never really says what does. Of course those who make their “decision” to “accept” Christ. Well just how magnanimous and smurfy of them. Because of course Jesus is waiting there just begging them to accept them, just hoping that they will be so kind as to accept Him so that He can then be their gini in a bottle. Baptism saves you. You are led to church to be baptized. It is your sign that God has accepted you, that you are now born again in Jesus Christ, that you are now the temple of the Holy Spirit. Jesus has become the Lord of your life through baptism, in His church, through His chosen minister. Not the concierge of your life. For those self-appointed arbiters, who are basically taking direction from others that are more cheer-leaders and entertainers than Bible scholars, back up and really understand what you’re saying. You want to be baptized, as soon as possible. You want to be given that new life in Christ. You want that it is entirely God’s call and not yours. Why? Because when it’s God’s call, God’s action, God’s result, you know that it’s completely true and will not fail. When you presume to “decide”, “accept”, “make”, you look back after awhile and begin to think “did that really happen?” “did I do it right, right time, right way…” You don’t have any assurance, you just have continued doubt. When someone comes to the altar at a, real, Lutheran Church, be they 8 hours, 8 days, 18 or 80 years old and are presented for baptism and baptized by a Christian minister, they know it was nothing about them and all about God. They are saved! Can they mess it up, can they reject and lose that salvation? Sure. But then they know it’s all about them and nothing about Jesus. Jesus did all that was necessary to save them. If they reject that, or presume on that, then it’s entirely on them. This entry was posted in Christian care, Lutheran Christianity, Uncategorized and tagged baptism, Baptism of Jesus, Baptism saves you, Church is God's vessel, Church of Jesus, Genuine Christianity, saved in Jesus on June 19, 2018 by Pastor Jim Driskell, Lutheran Church. Spiritual? Cut it out! Isn’t it time to get serious about Jesus?! Why do we study history? There is such great wisdom, people who’ve confronted the same issues we’re confronting today and have given us such deep thought. Dr Martin Luther wrote voluminously is his time. He has created such incredible wisdom, he really did conflate the left and right hand kingdoms (the left is the government/society, the right is the church) in that both are in God, and both need to be focused on God’s will and not man’s. He gave us so much guidance in how we should deal with trials, he spent a good deal of his life being a marked man by the Roman Catholic church which wanted Luther burned at the stake. He certainly knew how to deal with the trials in his life. He gave us so much on how we as Christians should see those who are lost in the world. I’ve seen many genuine Christians pray, and yes I understand we all know to where/whom, they are praying. But I would certainly encourage Christians to end all their prayers “In the Name of Jesus Christ, I pray, Amen”. Then there’s no doubt what you are doing, that our prayers are only in the Holy Spirit to our Lord Jesus Christ. Any other prayer just doesn’t matter, so why even pray it? I was asked to open sessions of county commissioners meeting. The only caveat was not to pray in Jesus’ name. I respectfully refused. Why would I do that? What’s the point? I’m a Christian pastor, there’s only one way I’m going to pray. I understand in today’s world of American Christianity (which is at best nominally “Christian”), we have accepted this civic sort of “To whom it may concern” prayer. Again what’s the point? I’m frankly a little afraid of what/who we’re praying to if not in Jesus’ Name. Which of the many idols we see in America are we actually offering prayer? Jesus tells His disciples in John 14:13 that we should pray in His Name. There’s only one, God Father, Son and Holy Spirit, and it is in the all powerful Name of Jesus Christ our Lord that I offer any prayer. This entry was posted in Lutheran Christianity, prayer, Uncategorized and tagged Christian apologetics, Christian prayer, Dr Martin Luther, John 14:13, Martin Luther, prayer, prayers that are efficacious, Praying in Jesus Name, To whom it may concern prayer on June 11, 2018 by Pastor Jim Driskell, Lutheran Church. Scripture over tradition, yes, no, maybe, what makes me happy? A very large part of the debate between Lutherans and Roman Catholics was and still is, the importance of Scripture versus that of tradition. Luther and others, Martin Chemnitz in this particular case, felt that the Roman Church was much more interested in elevating the importance of tradition and the ruling of the Church, via the Pope and the Cardinals. This was in reality, probably much more of a hot button issue in the debate than the discussion over indulgences. The debate over the unique and sole authority of Scripture certainly being inclusive of the debate over indulgences. I’m reading Chemnitz’s “Examination of the Council of Trent” (Part 1 Translated by Fred Kramer, published by Concordia Publishing House copyright 1971). This council was called by Pope Paul III, as a reply to the Lutheran Reformation in 1547. The original intent was to try and reconcile some of the issues, I do believe it was a good faith attempt by the church to examine if maybe, just maybe, Luther might have a point in some areas. The result didn’t come close, in fact it hardened the position the Roman church held before the Reformation. But as Martin Luther and Philip Melanchthon left the scene a new voice stepped in to further the cause of the Reformation and Christianity. Martin Chemnitz wrote extensively and persuasively in order for the Lutheran Reformation to continue to advance Christianity. Well could be if it weren’t for Chemnitz, the Lutheran Reformation might have been a brief bright flash in the Church, only to be repressed by the Roman Church or limited to an obscure corner of the church. Chemnitz argued that none of the early church fathers had favored the canon of Scripture that had been organized by the church in the 4th century. While there was a time that the apostles and early church leaders did not have canon and had to preserve and pass on Scripture orally, they never intended for that to be the practice. They had written down the books of the New Testament and as much as possible intended all Christians to rely on the written, universally agreed on, books of the New Testament. Chemnitz writes: “…Irenaeus says: ‘The apostles delivered to us in the Scriptures what they had preached.’ And for what purpose? What use did the apostles want the church to make of this their Scripture? Irenaeus answers: ‘That that which they delivered to us in writing might in the future be the foundation and pillar of our faith,’ namely, of that faith which the church received from the apostles and delivered to her children. Therefore we have in the Scriptures which the apostles delivered to us by the will of God the foundation and pillar of the only true and life-giving faith of the primitive church, received from the apostles. It is called the foundation of faith, because faith is learned, known, built up and received from it. It is called a pillar because through it that faith which alone is true and gives life is proved, confirmed, defended against all corruptions, and preserved. A faith, therefore, which is built up, received, proved and confirmed from any other source than from the Scriptures transmitted by the apostles is not the true, life-giving, apostolic faith of the primitive church. This lies most clearly and firmly in the argumentation of Irenaeus. And later he says that those are heretics who do not agree with the apostolic writings, and he describes the marks of the heretics in these words in chapter 2: ‘When they are proved wrong from the Scriptures, they turn and accuse the Scriptures themselves, as if they were not correct and were without authority [wow! where do we see that today? Everywhere including the churches from across the spectrum who don’t like to get too dogmatic. Basically so much of Christianity today that likes to pick and choose and make it up]. “both because they speak now one way, now another, and also because the truth cannot be found from Scripture by those who do not know the tradition; for (so they say) the truth was not given through epistles, but through the living voice” etc [kind of the same whiney make-believe rationalism of today]. Chemnitz put a lot of weight on Irenaeus’ word on Scripture. Irenaeus was a very early defender of the Christian Church, going back to the second century. He was also a leader in opposing the heresies of the period. He took Scripture seriously and did not take lightly any attempts to dilute what was written by the apostles only about 100 years earlier and passed on through the church from all over the Christian world, Asia, Europe, Africa, which generally subscribed to the canon of the New Testament. This entry was posted in Bible, History/Apologetics, Lutheran Christianity, Uncategorized and tagged Canon of Scripture, Council of Trent, Examination of the Council of Trent, foundation of faith, Irenaeus, Lutheran Reformation, Martin Chemnitz, Martin Luther, New Testament, Philip Melancthon, Pope Paul III, Reformation, Roman Catholic, Scripture, tradition on December 26, 2017 by Pastor Jim Driskell, Lutheran Church. Not only did Martin Luther reform the church. He also reformed beer too. Specifically, the Reformation gave us beer brewed with hops. So says Nina Martyris, who takes the prize for an influence-of-the-Reformation-on-its-500th-anniversary story with The Other Reformation: How Martin Luther Changed Our Beer, Too : The Salt : NPR. She is drawing on a book by William Bostwick, the beer critic for TheWall Street Journal: The Brewer’s Tale: A History of the World According to Beer. So how did Luther give us hoppy beer? So the church said that beer should no longer be made with hops. More to the point, the church established a monopoly on gruit — as Bostwick explains it, “the mixture of herbs and botanicals (sweet gale, mug wort, yarrow, ground ivy, heather, rosemary, juniper berries, ginger, cinnamon)” that took the place of hops. Beer made with this gruit was also subject to a heavy church tax. There were other financial advantages to making beer with hops. The flower was plentiful. And beer made with that ingredient was not taxed at all. Furthermore, says Bostwick, hops are a preservative, making it possible for beer to be a trading commodity. The making and selling of beer thus became part of the new commercial growth that accompanied the Reformation, fueled mainly by the “work ethic” associated with the doctrine of vocation. Can we still see this, sort of, in obnoxious beer drunks who get loud, start fights, and “make poor sexual choices”? Are they not always drinking tasteless mass-produced beer with few hops? Whereas those who drink hoppy beers in brewpubs find themselves relaxing, becoming calm, and engaging in good conversations? Or not? Well, Luther’s kind of Protestants still have the category of “saint,” though I’m not sure about “patron saint.” (Can anyone address that?) All Christians, he said, by virtue of their salvation by Christ, are simultaneously sinners and saints. But remember Luther and the Gospel the next time you taste hops in your beer. 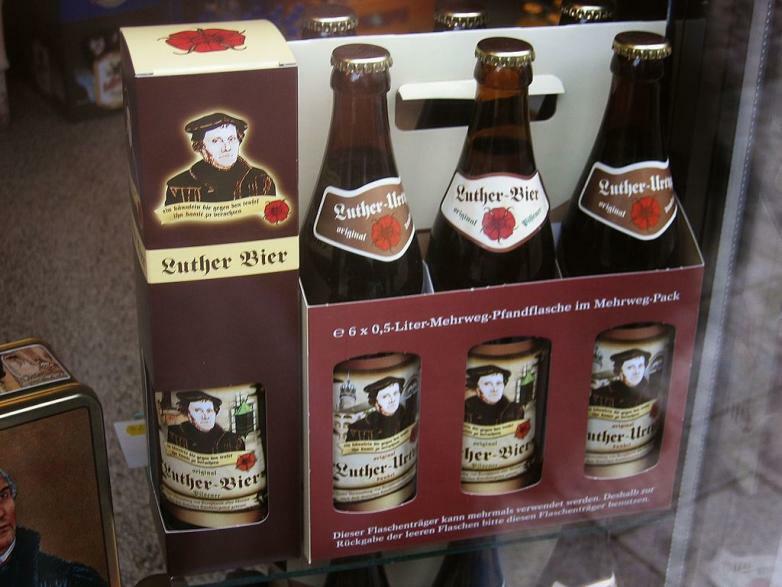 This entry was posted in Christian discipleship, Lutheran Christianity, Uncategorized and tagged Luther Beer, Martin Luther, Reformation Beer on November 3, 2017 by Pastor Jim Driskell, Lutheran Church. We make our beginning in the Name of God the Father and in the Name of God the Son and in the Name of God the Holy Spirit, we take this time to remember those who died in the attacks of September 11, 2001 and for the comfort and peace of their families in at this time. We all joined together and said … AMEN! We lift up in prayer all those in Florida, in the path of the next hurricane, we pray they are kept safe and that minimal damage is done. We thank you Father that the people in Puerto Rico were spared serious damage. We also remember Houston and pray that they continue to recover. Most of us remember well the attacks of 9/11, we certainly know of the war that continues in Afghanistan, although we may not know of a lot of the other activity that has occurred to stop terrorism and to break up and bring to justice those who would murder and destroy for their own purposes, for their own glory and do it in the Name of God. God the Father, Son and Holy Spirit does not inflict violence. Only the love of the true God which moves us to know and grow in Him and for those who do not know Him, He continues to move them to focus on Him and His true life here, salvation in heaven and eternal life in the resurrection. Help us to know Him in His love and relationship to Jesus, His Church and His people, in true, everlasting life and love. Dr Martin Luther writes: “The amaranth is a flower …[which] is easily broken off and grows in joyful and pleasant sort… being sprinkled with water, becomes fair and green again, so that in winter they used to make garlands thereof. It is called amaranth from this: that it neither withers or decays. A couple of times a year we step outside the walls of our stunning sanctuary. We do all we can to share this church and this great monument to our Lord Jesus Christ. To invite our neighbors, family and friends who do not know Jesus and His church. We have been given a great gift, to be saved in Jesus and in that salvation to be a member of His church. Not everyone who is saved is part of such a magnificent testament and monument to Jesus. Too many think that, by choice, a place that is simple and does not have anything to really honor Him or even remind those who are there that this is supposed to be a place to honor and worship our Lord and to show the world how important Jesus is. Too many in our culture today are more concerned with makes them happy, they’re really not concerned about honoring or worshipping Father, Son and Holy Spirit. Until such time, of course, when it’s very obvious that they need God and expect Him, and yes, His Church to be there for them. We who faithfully serve Jesus’ church know how difficult it is to maintain this place of worship and that it may not always be there. Many love to tell us how enlightened they are because they’ve made up their mind that the church is wherever they decide it should be. The snarky remarks about worshipping on the golf course, at the beach, some have told me drinking or even taking drugs. They claim that is their form of worship. We live in a truly delusional society that thinks it’s all about them and can make reality any way it pleases them. Those are the same ones who when all is said and done; “will be thrown into the outer darkness. In that place there will be weeping and gnashing of teeth.” (Matthew 8:12) The same phrase Matthew quotes Jesus as using in Matthew 13:42, 13:58, 22:13, 24:51, 25:30. “Omaha” Jesus makes it plain the fate of those who reject Jesus and His Church. It is a combo package, you can’t have a church that doesn’t accept Jesus, it’s not a church that will save you. Likewise you can’t have Jesus and not the church. The Church is the Body of Christ on earth, to be in Christ is to be a part of the Body of Christ which is saved to the eternal resurrection. You have to be a part of the Body of Christ, His church. In two places Jesus refers to His church. “ESV Matthew 16:18 And I tell you, you are Peter, and on this rock I will build my church, and the gates of hell shall not prevail against it. And in today’s reading: “ESV Matthew 18:17 If he refuses to listen to them, tell it to the church. And if he refuses to listen even to the church, let him be to you as a Gentile and a tax collector.” Despite what today’s culture likes to think, it is plain that Jesus’ purpose was for His church to do His will on earth. Not for everyone to have their own little worship of whatever I want or makes me happy. In today’s reading Jesus makes it very plain that, yes we are to judge. Not in a pharisaical, harsh way, but in a way that is trying to get the person back into a right relationship with Jesus and His Church. That is what excommunication is about. Not to be punitive or flex ecclesial muscles, but to make it plain that someone’s lifestyle; abusing others, undermining Jesus’ church and ministry, sexual sin, coveting after the things of the world, abusing God and His Name, murder, stealing, lying, that all these things are not acceptable in the Church of Jesus and won’t be tolerated. That the person committing those sins isn’t being judged, as much as condemning him or her own self by their actions. The church’s job is to call them to account on their sin and if he refuses to listen to a brother or sister in Jesus, then to three or more, then as Jesus says: “…if he refuses to listen even to the church, let him be to you as a Gentile and a tax collector.” (Matt 18:18) The church is given the power to judge, as Jesus goes on to say, what we call “the keys of the church”: “whatever you [meaning the church body] bind on earth shall be bound in heaven and whatever you loose on earth shall be loosed in heaven.” Whatever you as the church, truly functioning in good faith, good intentions, truly trying to redirect those who by their actions and rejection of My, Jesus’, Church, won’t listen “even to the church”, note the emphasis. Ok, it’s one thing not to listen to your neighbor, or maybe 3 people from the church, but when the entire church, that you won’t listen to the entire church! Ok, then the church in My authority as Lord of the church, tell you that you should treat this person as a Gentile and tax collector. In the context of the time the most damning condemnation one could make. The lowest person in Jewish society at the time was a Gentile or tax collector. Don’t have anything to do with them, except that you reach out in prayer, love and compassion, always doing what you can to restore them to the church. This arrogant attitude we have today, really idolatry, that is making oneself the object of worship when you claim that “oh I worship on the beach, the golfcourse”. The attitude being that worship, if any, is going to be on my terms, my time, place, emotion. As if God’s supposed to follow you around like a puppy dog hoping that you will deign to privilege Him with your attention. Doesn’t work that way, that is arrogance, self-worship, quoting CFW Walther: “…pious speech without a living and believing heart in one accord is nothing before God except a hypocritical abomination. Christian fellowship is founded on the promise from Christ Himself, as our text makes irrefutably certain. No Christian can say: ‘I prefer to remain alone. Why should I have fellowship? I derive no blessing from it.’ Whoever speaks like this contradicts Christ and questions His faithfulness.” Clearly Jesus means that when two or more are gathered, no one is entitled to set their own rules of worship, and that more than two are intended to come together in true worship. The peace of God that surpasses all understanding keep your hearts and minds through Christ Jesus. Amin and Shalom He has risen! He has risen indeed! Hallelujah! This entry was posted in Lutheran Christianity, Uncategorized and tagged Build My Church, Christian Church, Christian Fellowship, Church, Church of Jesus, condemnation, excommunication, Forgiveness, grace, idolatry, judgment, Keys of the Church, Praising God, sin, worship on September 16, 2017 by Pastor Jim Driskell, Lutheran Church. Idols hmmmm, really? Tells me to remember who’s really in charge! I am the pastor of First Saint Johns Church in York, Pa. First Saint Johns (FSJ) was completed in 1875, as you can see from the featured image, the altar, and the rest of the sanctuary are very nice and very reverent. There are those who I have showed the sanctuary to and felt that there was just “heavens, too much idolatry”. Rather amuses me. I’ve been in a lot of sanctuaries where you might truly wonder what the space is actually used for. By looking at this picture, there should be little doubt what or, better, Who this space is about. It’s all about Jesus and the people who built his sanctuary 140+ years ago knew it. The altar is especially interesting in that it shows the most important aspects of who and what Jesus is all about. Underneath the flat part, called the mensa, is a lamb, shows that Jesus is the Lamb of God. Next is a crucifix, reminding us that Jesus died on the cross for our sins. Next is Christ ascending to glory in heaven. The top stained glass window shows Jesus as Lord of all creation, at the right hand of God the Father. The stained glass windows on the sides have various Christian symbols and at the top is one of the apostles. People have actually told me how idolatrous this is??? Yet I can go into an old Quaker, Calvinist, etc churches and honestly wonder what’s going on there. I can go into a lot of “community”, “independent”, etc and see no indication that I’m in what purports to be a “Christian” sanctuary. There is a lot of symbology on the altar and on the stained glass at FSJs. A lot of visual reminders of what we believe and Who we hold important. Over the ascending Jesus is the motto “Sola Deo Gloria”, yea wow, “To God only the glory”, yikes that’s a first commandment buster, right? Why do people really object to this? Why do they prefer to have a “church” that is essentially void of anything that is Christian? I would submit that especially with all the “big-box” non-denominationals, that it’s really more about those in the church preferring to kind of push aside all the Jesus stuff. Yea, they sing about Jesus and kind of preach about Him. But it’s not really about Him, if it was why is there a problem about having a lot of visual reinforcement. My answer. In the world today it’s all about me, what’s good for me. Well Jesus is good for you, the only and ultimate good. But too many people don’t see it that way. Today’s culture says: I don’t want to be reminded of all that Jesus stuff, if I’m here I’m worshiping what I want, “ooo that gory crucifixion stuff”. Well that’s a whole big subject, and well we just shouldn’t have to do that, just make me happy God. I showed up, I should get the big payoff. Doesn’t work that way folks. It is all about God and not about you. That’s why we have all these reminders to reinforce that in us when we are in true worship, lifting up and praising God, Father, Son and Holy Spirit. People who built these great old churches understood that and when I stand in front of the altar here I know exactly what and especially Who it’s all about. It’s why we at First Saint Johns are serious about what we do and why we do it, it’s for Jesus who sacrificed all for us and we will be His for all eternity. So instead of mouthing silly platitudes and not thinking about what is important, let’s all do some serious thinking about what and Who is ultimately important. I have all these beautiful and compelling reminders here, maybe it’s time for you to think about why this is all important. This entry was posted in authenticity, Christian discipleship, Church, Lutheran Christianity, Uncategorized and tagged Christian altar, Christian churches, Christian sanctuary, Christian symbols, Christian worship, idolatry, idols, inspiration, Jesus, Jesus Christ, Jesus is Lord, Lutheran church, music, Sola Deo Gloria on July 6, 2017 by Pastor Jim Driskell, Lutheran Church.